Embed the Expression Editor and EditorPanel so users can work with data inside another ComponentOne control, like FlexGrid or DataGrid. 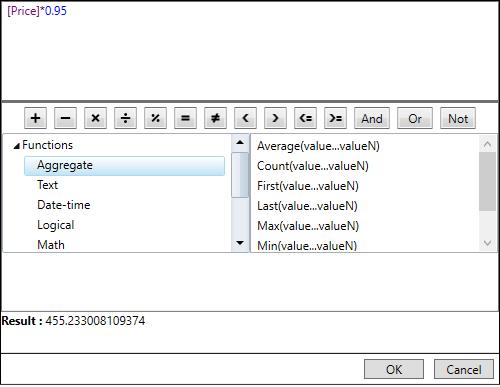 The ExpressionEditor can be used separately, as embedded in a custom filter or in the cell of a grid. 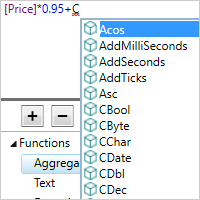 Expression Editor uses different colors to highlight functions and fields, just like the SQL Query editor. 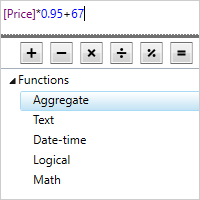 As the keywords are automatically highlighted, it increases the readability of expressions which makes it easier to differentiate between functions, operators, and fields. SyntaxHighlighting property of C1ExpressionEditor class controls whether a function or a field should be highlighted in an expression. 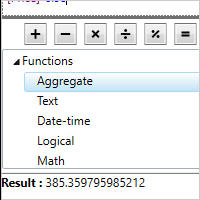 When you type expressions, Expression Editor completes it by providing recommendations of possible functions or fields in a list based on what you type. This option helps to complete expression quickly and reduces the chance of making typing errors. 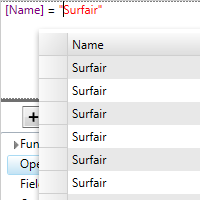 When the expression in Expression TextBox is invalid, you'll immediately see an error in the expression textbox. The IsValid property of C1ExpressionEditor class is used to indicate if an expression is valid or not. 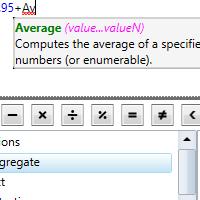 Each time the mouse hovers over a function, Expression Editor displays a descriptive tooltip. 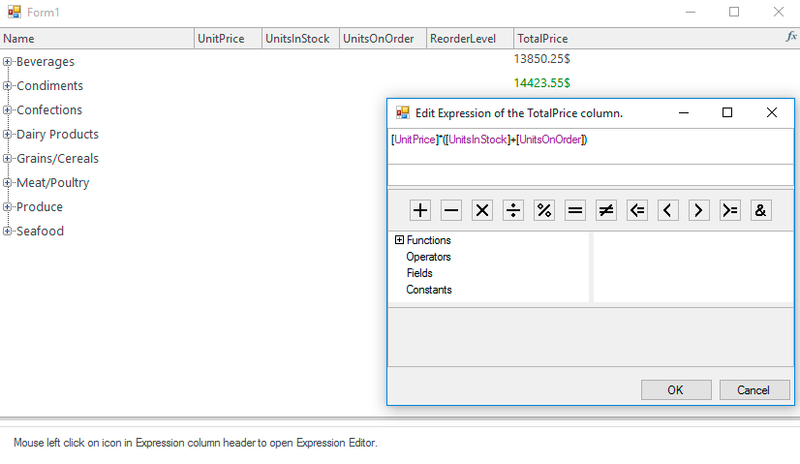 Visualize final output and correct possible errors easily before finalizing the expression for a supported control! 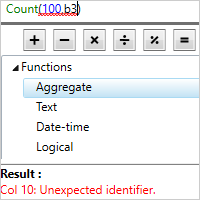 When you write a valid expression, it displays the result in the preview and displays error for an invalid expression. 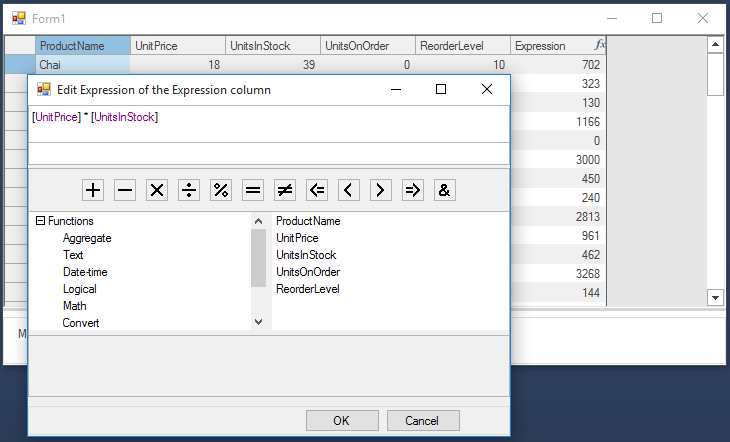 Filter a data set in a FlexGrid or FlexChart control using the expressions of your choice. Match on strings, formulas, or other data.